The Department of Library & Information Science will be welcoming back colleagues from the British Library for the first of their 2016 Roadshows, which will explore the innovative and creative use of digital content. On 1st February, City’s Department of Library & Information Science will host colleagues from the British Library Labs for the first of their 2016 Roadshows. The free, informal event, which takes place from 5pm to 8pm in Room C304 of the Tait Building, will feature talks, demonstrations, panel discussion and idea generation around the innovative use of the British Library’s impressive digital collections. Mahendra Mahey, Manager of the British Library Labs Project, will talk about the project’s work in promoting scholarly and creative use of the collections through activities including competitions, awards and events. Mahendra will announce the current BL Labs Competition, for which entry closes on 11th April 2016, where researchers are invited to submit transformative ideas for working with the Library’s digital content. Two Labs Competition finalists will be selected to work 'in residence' with the BL Labs team between May and early November 2016. They will receive expert help, access to the Library’s resources and financial support to realise their individual projects. He will also describe the new British Library Awards; candidates completing an existing project which already uses the Library’s digital content can be considered for an award under one of four categories, ‘Artistic, Commercial, Teaching/Learning and Research’. The deadline for submissions is 5th September 2016. Ben O’Steen, Technical Lead for British Library Labs, will describe current projects and ideas, highlighting some of the challenges and issues faced with using the digital content and data. Ben will briefly demonstrate how to access some of the terabytes of data available at the event. The evening will also feature a question and answer panel of #citylis students and alumni, who will chat about their experiences in working with digital content from the BL, attending events and volunteering. The event will conclude with an Ideas Lab, facilitated by the BL Labs Team and members of #citylis, in which attendees will have the chance to work together to brainstorm ideas for using the digital resources. The ideas will be pitched to a final panel from the BL Labs team and #citylis, and a prize will be awarded for the best idea decided by the panel. 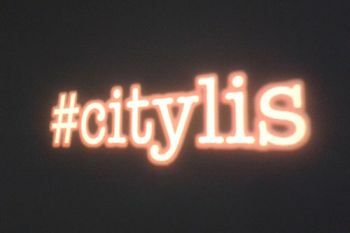 The hashtags for this event are #BL_Labs and #citylis. Participants are encouraged to bring their own laptop; EduRoam and guest wi-fi access will be available. In April 2015, City’s Centre for Information Science, hosted ‘#BL_Labs: Exploring the British Library's Digital Collections & Data', which featured talks by Mahendra and Bob Nicholson, one of the winners of the 2014 British Library Labs competition. To register for this free event, please visit this weblink at the earliest opportunity as seating is limited. Library and Information Science (LIS) is a long-standing academic discipline, with its own set of theories and perspectives. It focuses on the study of the communication chain of recorded information and supports the practice of librarianship, information management, archiving and records management as well as other collection professions. Although it makes full use of technology, LIS is rooted in the humanities and social sciences. LIS is centred around an understanding of documents and the ways in which they are managed; particularly the new forms of digital and immersive documents now becoming available.